Home / Contests • Featured / MTF Holiday Gift Guide! The Top Five Presents For Geek Bros! Plus Win Legends Of Tomorrow: The Complete First Season On DVD! MTF Holiday Gift Guide! The Top Five Presents For Geek Bros! Plus Win Legends Of Tomorrow: The Complete First Season On DVD! Warner Bros. Home Entertainment provided me with a free copy of the BD/DVD I am featuring in this Blog Post. The opinions I share are my own. For day four of our Holiday Gift Guide, we turn to the person who either tormented us as kids, or was the awesome stand up guy we now know and love… Brothers! And I’ll tell you, there are no bigger Geeks than Bros. I’ve seen the craziest things over the years… Trust me! We’ll have a gift guide everyday this week and again, thanks to our awesome sponsors… We have a giveaway each day this week as well! Are you excited? I know I am. Here are our picks for the Geek Bro in your life! 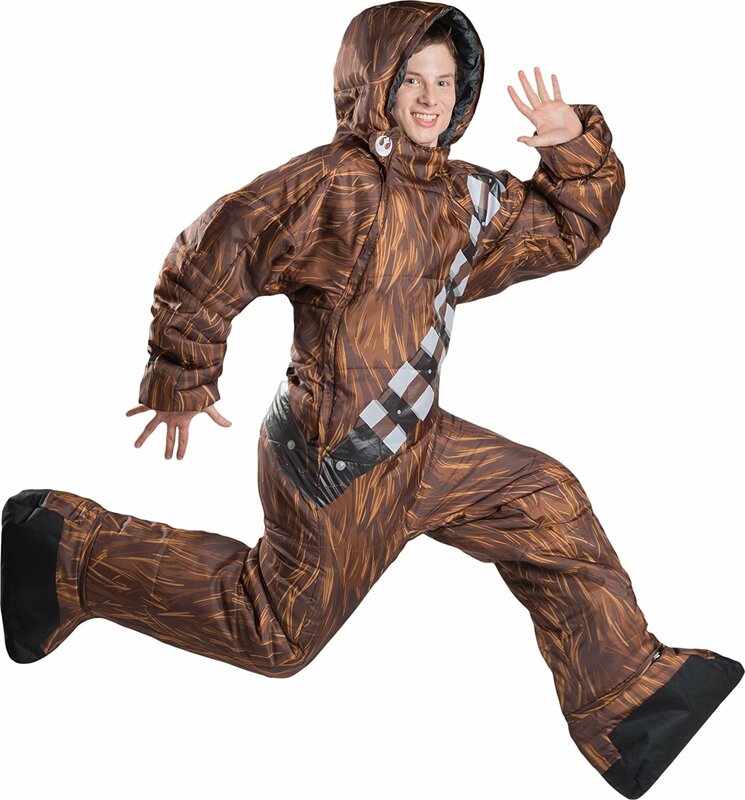 Star Wars by Selk’bag allows you to suit up and enjoy any adventure as your favorite Star Wars hero! An excellent choice for spring and summer camping as well as fun around the home. Equipped with removable booties and hand openings so you can use your light saber to conquer the galaxy! Choose from Dart Vader, Storm Trooper, Chewbacca and Rebel Pilot! Elastic no-hassle hand openings allow you to bring your hands in and out of the bag quickly and effortlessly! Poké Balls were meant for holding things. Mostly Pokémon, but things nonetheless. So we took that concept, and we thought that they would work pretty well at holding our favorite snacks. Guess what? We were right. 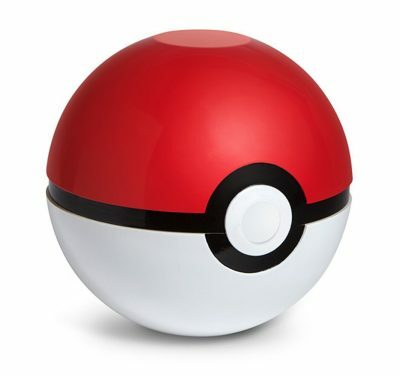 This Poké Ball is a tad bigger than the handheld ones that a Pokémon Trainer such as yourselves may be used to, but that’s only because we know you’re hungry. We can relate. 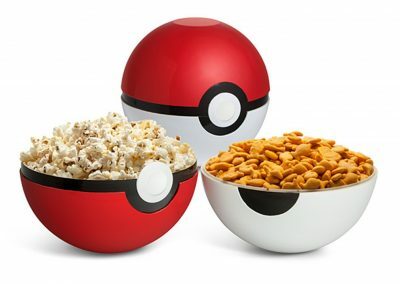 The Poké Ball Serving Bowls come with two dishwasher safe halves of the classic ball used in the Poké-verse. The red top and white bottom can slot together and will equal the approximate size of a volleyball. Sure, that is more than adequate space for your pet hamster to roll around in while you pretend it’s a Pokémon, but that might count as hamster abuse so don’t do it. You’ve just received the final clue in the riddler’s latest larcenous plot. But how to open it without triggering any booby traps the felonious fiend may have secreted inside? 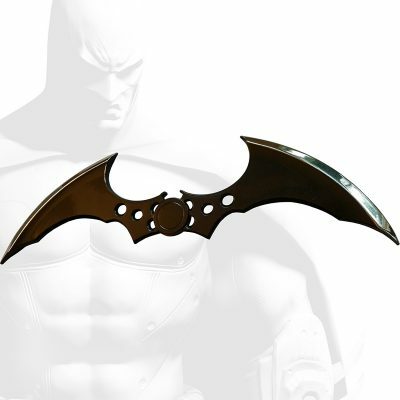 reach for your utility belt and withdraw the Arkham Knight Batarang letter opener! based on the actual 3-D files from the newest Arkham Knight blockbuster, this lightweight metal replica measures 7″L x 2″W x 0.4″H with this piece of the Arkham arsenal on your desk, they’ll be no doubt in your office who owns the night. 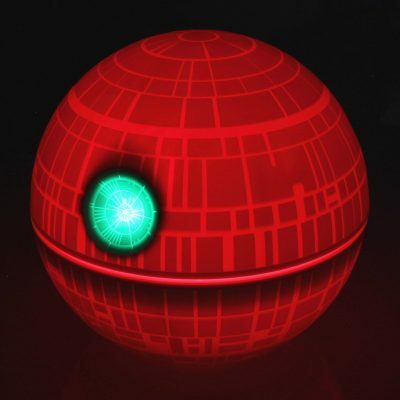 This Star Wars Death Star Novelty Mood Light is perfect for all fans out there! It glows in the classic white color but also has the second option of being put into a Infrared type mode as well. 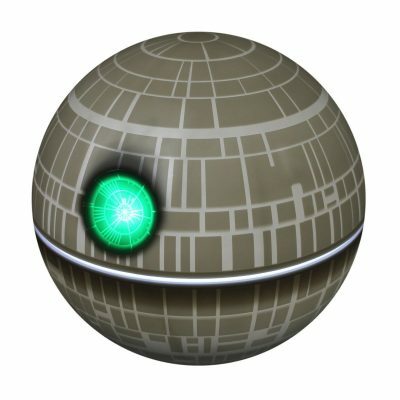 The Superlaser gives off a great green glow as if it is charging up it’s eight kyber crystals which would combine into a single focused blast of incredible power! And last, we have something that’s honestly a treat for everyone, but I think especially bros… Legends Of Tomorrow: The Complete First Season! This is one of my favorite shows, it’s quirky, it’s fun and has tons of action. Plus, it has Victor Garber and Caity Lotz! I mean…. HELLO! How could you not love it? When Heroes Aren’t Enough…The World Needs Legends! Packed with Extras Including Featurettes, Comic-Con Panel, Deleted Scenes and a Gag Reel! The Mission Is Simple: Save the Future and Control your own fate and catch up with DC’s Legends of Tomorrow as Warner Bros. Home Entertainment releases the complete first season of the epic series on Blu-rayTM including Digital HD and DVD on August 23, 2016. 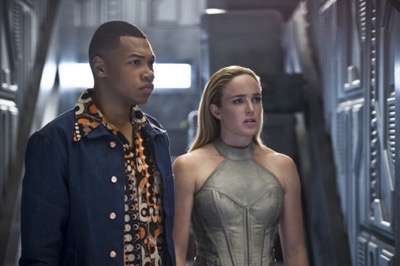 Before the second season returns on The CW, fans can watch all 16 exhilarating episodes from the first season, plus nearly an hour of extra content, including the 2015 Comic-Con Panel, featurettes, and a gag reel. DC’s Legends of Tomorrow is The CW’s #2 show among Total Viewers, coming in only behind The Flash. * DC’s Legends of Tomorrow: The Complete First Season is priced to own at $39.99 SRP for the DVD and $44.98 SRP for the Blu-ray including Digital HD. With Blu-ray’s unsurpassed picture and sound, DC’s Legends of Tomorrow: The Complete First Season Blu-ray release will include 1080p Full HD Video with DTS-HD Master Audio for English 5.1. The 2-disc Blu-ray will feature a high-definition Blu-ray and a Digital HD copy of all 16 episodes from season one. DC’s Legends of Tomorrow stars Victor Garber (The Flash, Titanic), Brandon Routh (Arrow, Superman Returns), Arthur Darvill (Doctor Who), Caity Lotz (Arrow, Mad Men), Franz Drameh (The Flash, Edge of Tomorrow), and Ciara Renée (The Flash), with Dominic Purcell (Prison Break, The Flash) and Wentworth Miller (Prison Break, The Flash). Falk Hentschel (The Flash), and Casper Crump (The Flash, Arrow) are recurring guest stars in the series. 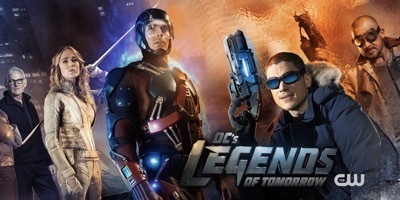 Based on the characters from DC Comics, DC’s Legends of Tomorrow is produced by Berlanti Productions in association with Warner Bros. Television, with executive producers Greg Berlanti (Arrow, The Flash, Supergirl, Blindspot, The Mysteries of Laura), Marc Guggenheim (Arrow), Andrew Kreisberg (Arrow, The Flash, Supergirl), Phil Klemmer (Chuck, Political Animals), Sarah Schechter (Arrow, The Flash, Blindspot, Supergirl, The Mysteries of Laura) and Chris Fedak (Chuck, Forever). 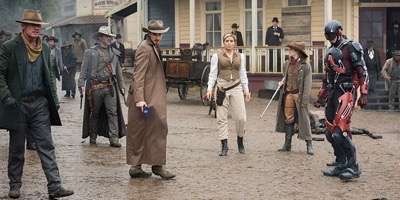 Jonah Hex: Hex Marks the Spot – Journey behind the scenes of “The Magnificent Eight” as producers bring the legend of Jonah Hex and the ways of the Old West to life. A Fantastic Voyage: Touring the Waverider Set – Journey behind the scenes with the production design team responsible for bringing the Waverider to life. From the origin of the time traveling ship, to the VFX that completes the illusion, a complete look. History in the Making – Explore the cross over between fact and fiction, as the Legends team makes contact with a variety of eras thought the series. 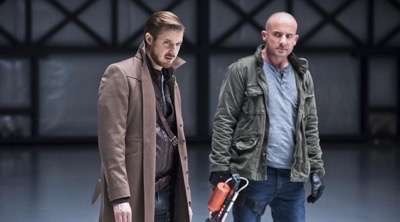 Time travel with the heroes and villains of DC’s Legends of Tomorrow. Gag Reel Extra special thanks to our friends at Warner Bros Home Video who have given us three copies of Legends of Tomorrow: The Complete First Season on DVD to giveaway! How awesome are they? Super awesome! Also check out Legends of Tomorrow on Amazon! (Ended) MTF Contest Time! 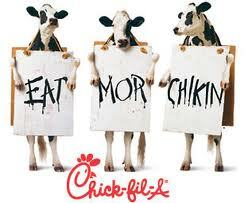 Win 10 Chick-fil-A Kids Meal Cards! Spin The Old Time Fun Wheel To Win! Contest Time! Win Scooby-Doo! and KISS: Rock and Roll Mystery On Blu-ray Plus Check Out The Awesome Blog App! TV Heartbeat Interview! What’s Ahead for Season Two of 12 Monkeys! I love the group they put together, but i wish they wouldve spent more time with the JSA. I have not yet watched it to be honest. Arthur Darvill for sure! Great actor! I love time travel. I have always been fascinated with movies and tv shows that deal with time travel. So adding superheroes to the mix grabbed my attention. I love the cast, and how they go from show to show..it’s nice to see the familiar. I love that they are time travelers. I also like the fact that they have characters which I am familiar with from other shows I watch. Is it terrible to say that I have not had the privilege of seeing it yet? But must admit that the cast is fantastic!